The started under the monicker 'Festering Bowels'. After changing their name to 'Excision' they became more serious and released two demos. After the 'Dreamality' cd was released they wrote new tracks but remain unreleased. Some of those can also be found on live recordings. 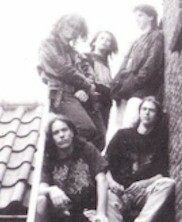 The band split up after there last show in November 1998. Glossy four panel cover & clear tapes.